The first night after a major climb is the hardest; physically and emotionally. The body pains would finally break free the moment you lie down on that ever comfortable bed. And before you close your eyes, you would then remember everything you had to go through– the exhaustion, thirst and hunger — only to have your breath taken away. This also triggers you to turn towards that little mushy outdoor freak in you, recalling moments during the climb and thinking of how much you miss it even after just a day from arriving home. It was a sunny day, the 27th of February; I woke up to my 6:00am alarm. This is one of those rare occasions where I wasn’t late. It did not matter that I only slept for an hour because I intend to just sleep the ride away. The group met up at Citilink where we would ride a van to get to Toledo city. From there, we would board a fast craft that would take us to San Carlos city. We arrived an hour later. After having lunch at a much overpriced eatery, we all headed to the bus terminal. We were all grubby when we got to Canlaon city. We met with Kuya Amay (our guide), went to the tourism office and did our last buys. Fast forward to reaching the base camp, we proceeded to prepare our supper. Compared to our past major climbs, our meal plan was a lot more decent this time. Dinner was so good that it required alcohol; or at least that was a good excuse. 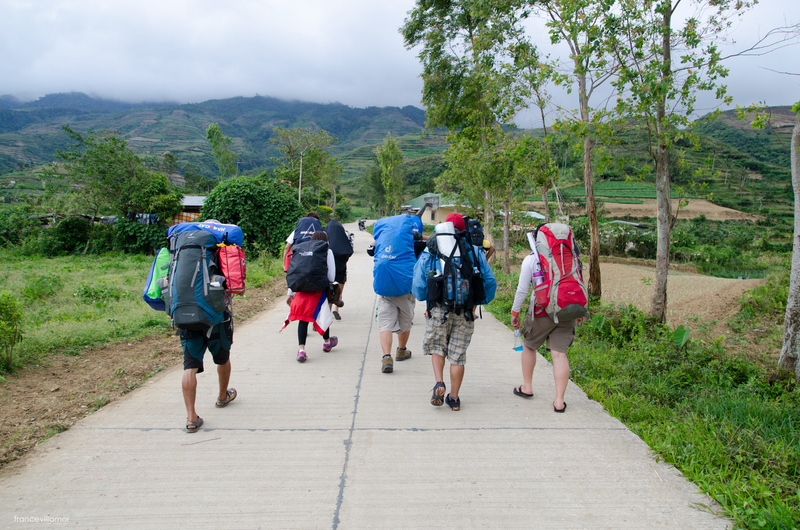 The socials were also made interesting by Piaya TV who spent the night in the base camp. They interviewed us in our spot and for a second, I contemplated on pursuing a career in showbiz but I eventually snapped back to the reality of me being a point past my ideal BMI. Kidding aside, I think the fun we had on that night kind of prepared us from what was going to be a tiring trek the next day. On how it’s a lot like love. The next morning, I woke up feeling elated. The weather was perfect and everyone was smiling. We started trekking towards Makawiwil Peak at 9:00am, and our goal was to reach Mt. Kanlaon’s saddle at 4:00. The trail, albeit demanding, was bearable because of the fine weather. 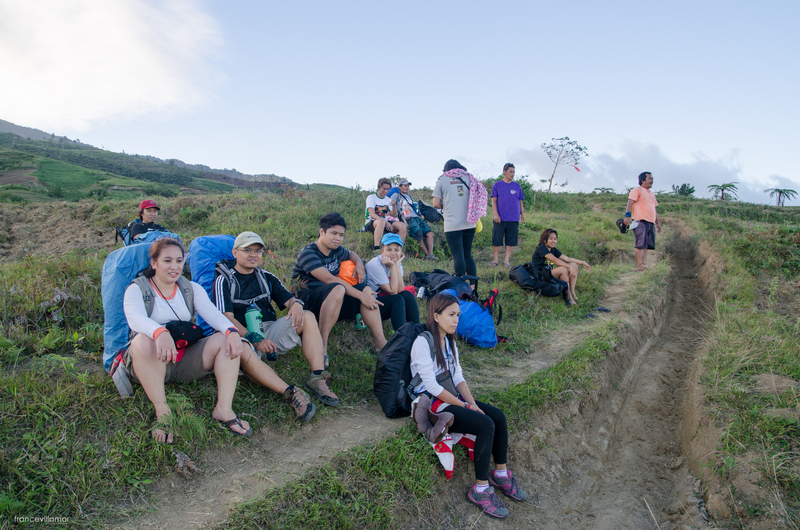 Before we started trekking, the guides gave us a heads up on what to expect, the dos and don’ts. Rest if tired, practice LNT and do not ever mention the word asin (salt) because they believe that the spirits are going to be really pissed. We did not ask a lot of questions about the asin part because 1.) It’s always expected from mountaineers (seasoned or rookies) to respect the local’s beliefs and 2.) Because of this. My support system- The line up started with Princess, me and then Ruby and Jedward. We’d just talk about anything to get distracted from the thought of being tired. We got to the Makawiwili Peak at around 3:00 in the afternoon. Tired from the 6 hour trek, we rested and waited for the gods to give us a glimpse of the beautiful Margaja Valley, but we resigned to just continue with the descent after 30 minutes of waiting. Silence ruled during the whole trek from Makawiwili peak towards the camp site. Gone were the giggles and pep talks. The sound of the harsh winds lingered… The climate became colder and colder by the minute. We needed to rest. Waiting to be charmed by Margaja Valley. But the gods were still unconvinced. I gasped as I stared in astonishment. The Margaja Valley was ridiculously beautiful. I have seen pictures of it but the actual sight before me was beyond amazing. I have seen a couple of beautiful mountains, but the Margaja Valley is by far my favorite. I would not trade that moment for anything because up until now, the thought of seeing it makes me giddy – a lot, like love. You know what I’m saying? Although this was not taken from the ridge, it’s still pretty, right? I felt really victorious when we reached the saddle. We were thankful to have been guided by the group of Kuya Amay. They were enthusiastic and patient all throughout the trek. After devouring (yes, the term sounds barbaric but it’s apt because we were really hungry) yet another awesome meal, Princess, the guides and I stayed up for a bit for elixir refill (and by elixir, I meant Emperador light + powdered juice). We were talking about their lives outside being a guide when we heard Psssst.. Psssst… shocked, we all looked at each other and Kuya Amay hurriedly told us to pack up and get inside our tents. Being the scared-y cat that I am, of course I was the first one to get into position. I shared tents with my homoeothermic (but human) partner, Princess. I prayed, tried to close my eyes and thought of lighter things like dogs and shopping and oh, weddings! I looked at my ever reliable Casio watch and it was still 10:00 PM. The wind is howling like …. (You know what it is, you can sing it) this swirling storm inside. Haha! I was desperate to doze off and decided to get my phone so I could listen to some music. I thought Sara Bareilles already saved me but then the wind became ridiculously stronger by the minute. It stopped for a couple of seconds and then that’s when I heard footsteps. It lasted for several minutes and sounded like it was just going around our camp looking for something. Few steps and then it would stop and back again. I thought to myself I hope wala ang asin dri sa among tent. I hugged Princess while praying really hard and eventually made my own pool of drool – because you know what that means.